New Jet International finds its roots in 1993, when the fervid passion for aviation of its founder, Valerio Zamboni - professional pilot since the late 70’s -, led him into the even more exciting world of aircraft sales and to take on the ambitious idea of becoming official sales representative for Bombardier Business Aircraft. Zamboni achieved his objective when was appointed as the exclusive sales representative for Bombardier’s Learjet line in Italy: New Jet International was officially born. Following a successful company launch marked by strong sales, New Jet was successively granted representation of Bombardier’s Challenger and Global aircraft families and expanded its sales territory to the Principality of Monaco, Spain, Switzerland and Portugal. 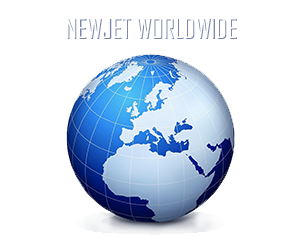 Today, New Jet International, with its headquarters in the Principality of Monaco and various Sales Directors placed in key countries as well as affiliates all over the globe, can efficiently meet the evolving needs of an international clientele offering a wide range of luxury transportation products.